The association between foreign objects in the urinary system and urinary tract infections (UTI) is well established. The incidence of bacteriuria in patient with urinary catheters increases as dwelling time lengthens. The presence of ureteral stents and kidney stones is also associated with increased risk for bacteriuria and urinary tract infection. 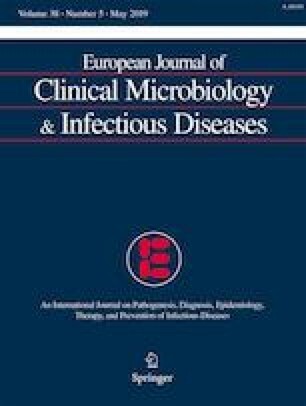 The aim of this study was to assess the bacterial characteristics of urine culture (UC) and foreign body culture (FBC), the concordance between them, and to identify risk factors for postoperative infections, in order to improve the treatment in these patients, using a prospectively collected database of patients who underwent ureteroscopy or percutaneous nephrolithotomy (PCNL) for the treatment of urinary stones between 2005 and 2016 at our institute. Preoperative UC was obtained from voided mid-stream urine for all patients. FBCs were obtained from ureteral stents removed and stones collected during the surgery. The cohort included 1011 patients. Mean age was 53 (SD 15.8), and 679 (67.2%) patients were male. Two hundred eighteen (21.6%) had a UTI in the year prior to the surgery. Among 795 patients who had sterile UC, 98 (12.3%) patients had positive FBC. Positive FBC was found in 53.7% of the patients with positive UC; however, FBC pathogens were similar to those identified in UC in 31% patients. The sensitivity of UC to detect FBC pathogens was 31.3%, and the PPV was 0.31. Urine cultures do not recognize all cases of pathogens colonizing foreign bodies in the urinary system. The colonization may be associated with an increased risk for SIRS. In more than one-quarter of the patients, the causative pathogen of sepsis is identified by FBC, but not by UC. The online version of this article ( https://doi.org/10.1007/s10096-019-03555-6) contains supplementary material, which is available to authorized users.